Coins 37 Greek Italy. Southern Apulia, Tarentum. 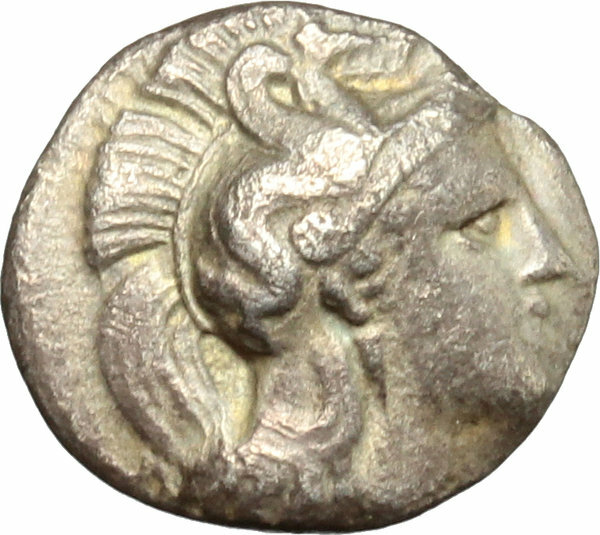 AR Diobol, 380-325 BC. D/ Head of Athena right, helmeted. 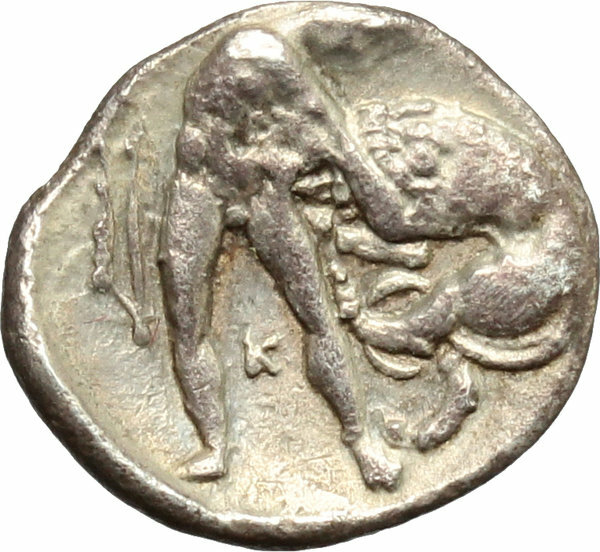 R/ Heracles standing right, lifting lion with neck-grip; to left, bow. HN Italy 914. AR. g. 0.99 mm. 12.00 About F.